A University of New Brunswick cybersecurity expert has co-authored a new guide aimed at helping people safeguard themselves in a dangerous online age. Dr. Natalia Stakhanova, an assistant professor at UNB’s faculty of computer science and New Brunswick Innovation Research Chair in Cyber Security, says Have You Been Hacked Yet? How to Protect Your Personal and Financial Information Today addresses the threat of cyberattacks and how to best protect yourself online. Dr. Stakhanova says she was inspired to write the book because too many people come to her after they have already been hacked and damage has been done. “The unfortunate reality is that unsuspecting ordinary users of information technology are the ideal candidates for hackers,” she says. The book acts as an essential guide for everyday online security in the current cyber climate. Today, there are about one million attempted cyberattacks per day, while five to seven years ago there were little more than one million in a year, Dr. Stakhanova explains. Malware can be disguised in an email, text messages and online messaging, and computing devices are constantly being probed by specialized hacking tools. The seriousness of cyber threats cannot be understated, she says. Thousands pay dearly with ruined reputation, destroyed financial stability and sometimes even their own lives. Hacking can often result in theft, blackmail and online harassment. According to Dr. Stakhanova, few individuals think that their devices and online information need protection and even fewer know how to protect them. The aim of the book is to provide the reader with all the basic advice and strategies needed to protect against cybersecurity threats.Hackers aim to evoke emotions, mostly fear, in their victims in order for them to either send their information, or click on a link immediately. 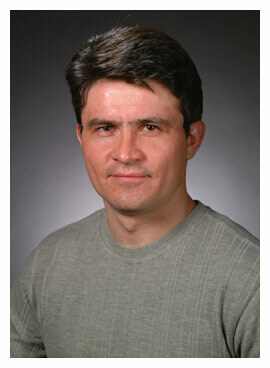 Dr. Stakhanova’s advice is to remain calm and take critical view of information presented before responding. Dr. Stakhanova has been a research chair and assistant professor at UNB since 2014. Prior to 2014, Dr. Stakhanova was a postdoctoral fellow at UNB from 2007 to 2010 focusing on network security research. Dr. Stakhanova co-wrote the book with her husband, Dr. Oleg Stakhanov. Dr. Stakhanov is an academic instructor at UNB’s department of sociology and his research interests encompass issues of sustainable development, technology transfer and research methodology. 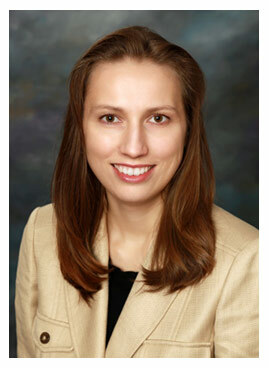 Throughout her career, Dr. Stakhanova has developed technology that has resulted in three patents in computer security, all of which have been implemented by high-tech companies. She is also a strong advocate of Women in IT and co-founder of CyberLaunch Academy, an initiative that aims to promote science and technology among children. Have You Been Hacked Yet? How to Protect your Personal and Financial Information Today is available at Amazon and Chapters.